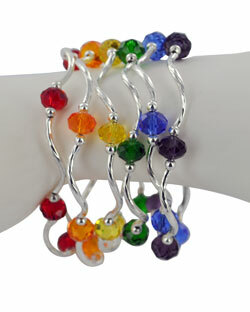 This Prism Pal bracelet is a beautiful, vibrant and charming bracelet from our semi-precious stone collection. 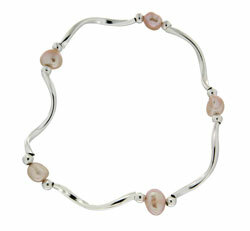 It is made from aluminum and semi-precious stones with a stretch core to fit over your hand. It is very light and will feel like you are not wearing anything, but the light will reflect off the crystals and catch everyone�s attention. These bracelets are made to be worn in multiples of the same, matching, complementary or special meaning colors. Use them to coordinate with your fashion, show off your school, team, or favorite colors. You can also show off the birthstone colors of your children or family. Let your inner designer come out with all the color choices. We are adding more all the time. The bracelet measures about 7 � inches.